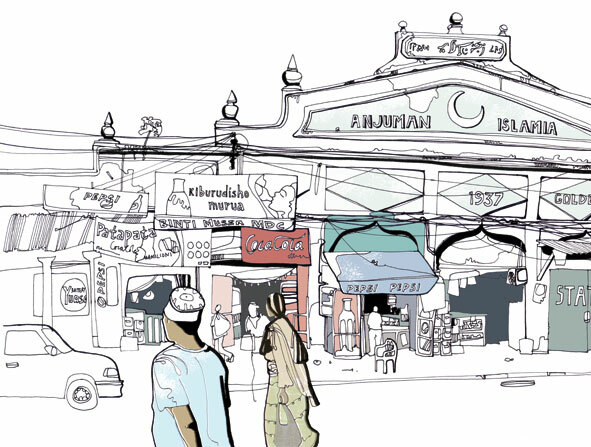 The 1920s saw two ambitious attempts to bring together Dar’s disparate Muslim communities. Anjuman Islamia, founded by Muhammad Omar Abbasi, a Sunni newspaper publisher, was backed chiefly by Punjabi funding and acted as a social welfare body which also sought to coordinate Islamic affairs. Sadly this 1937 building on Bibi Titi Mohamed Road was demolished in recent weeks.